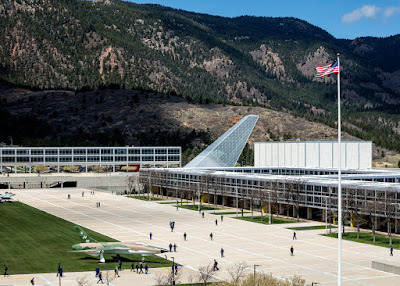 The Center for Character and Leadership Development in Colorado. 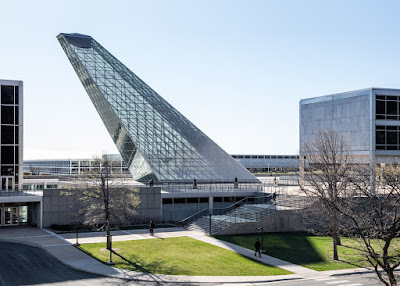 Encompassing 46,000 square feet (4,273 square metres), the new facility serves as an education and research centre that supports the academy's mission to "integrate character and leadership development into all aspects of the Cadet experience". 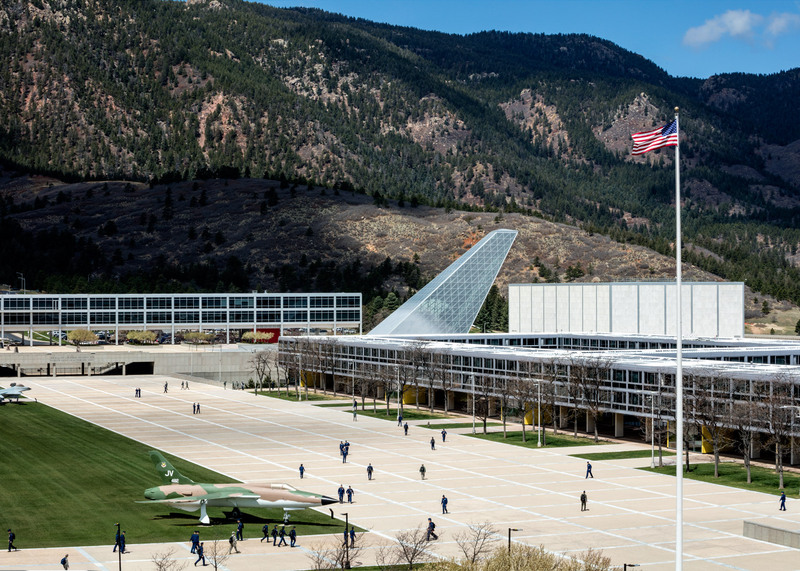 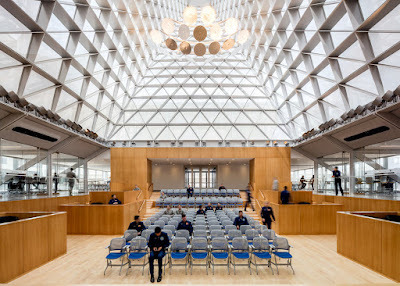 The single-story facility was placed below an existing podium punctuated with several notable buildings, including the famous SOM-designed Cadet Chapel. 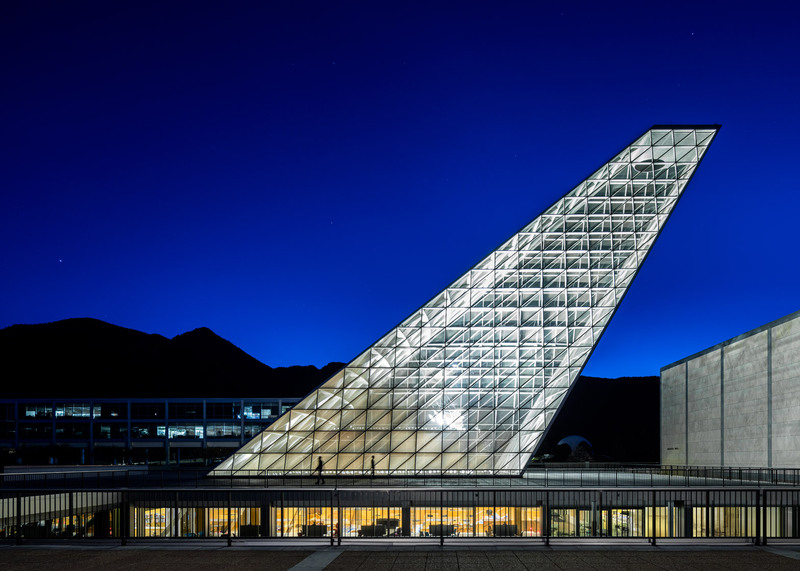 Composed of 17 spires clad in aluminum and colored glass, the 150-foot-tall (46 meters) chapel resembles a line of fighter planes ready for takeoff. 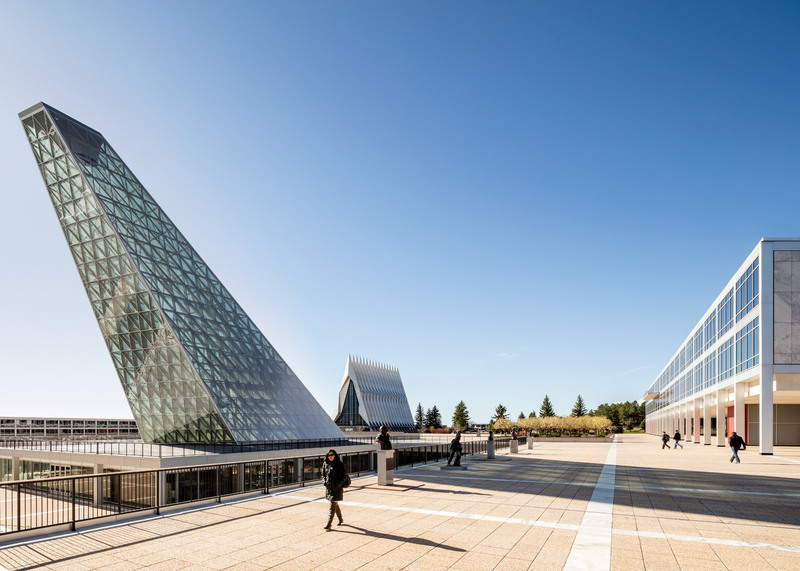 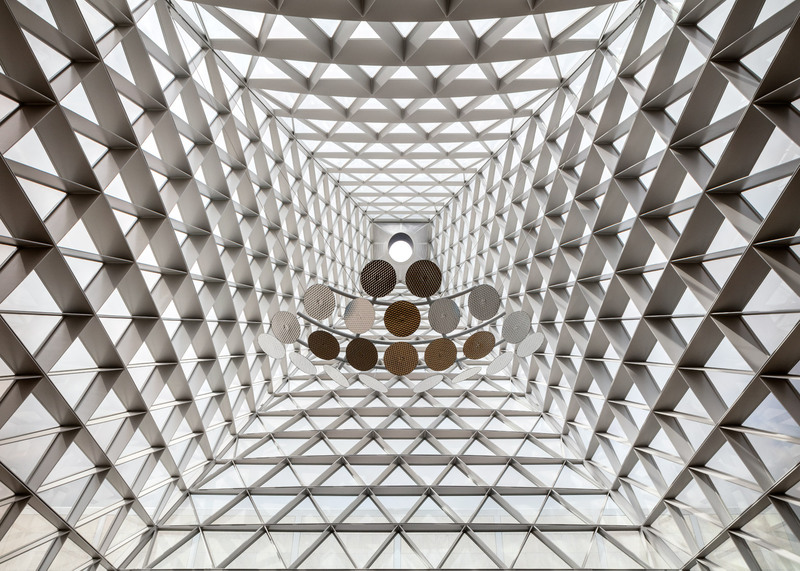 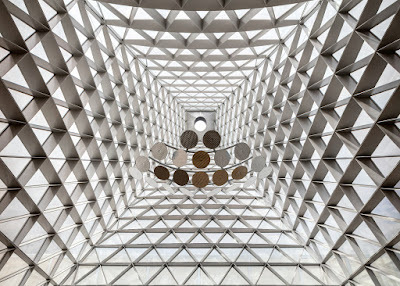 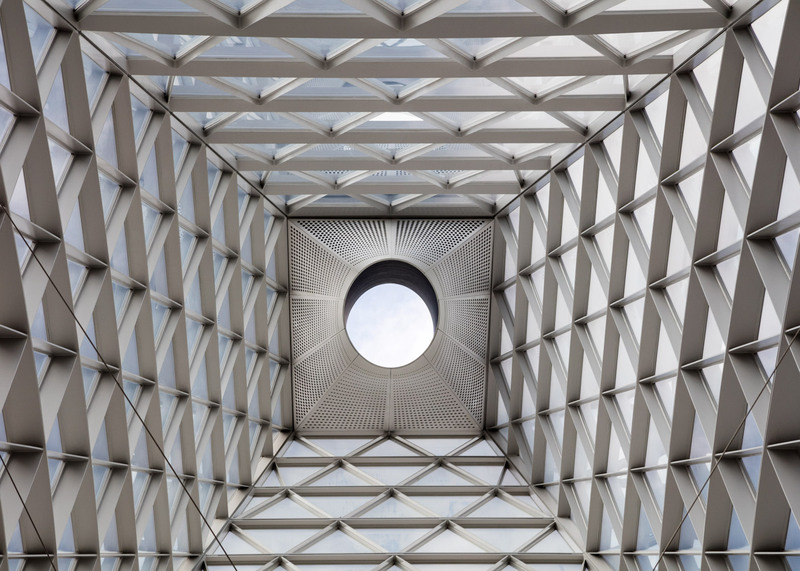 One of the new facility's most distinctive features is a 150-foot-tall (46 meters) truncated oblique pyramid that serves as a skylight. 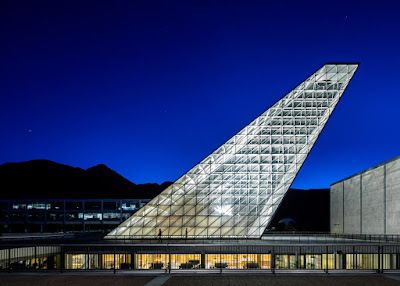 It rises from the building's roof and points to the North Star.